Every fleet manager wants to trust their employees, and a fuel card program may seem like a way to “look over everyone’s shoulder” as they refuel vehicles at the gas station. But, a program can eliminate the small non-fuel purchases that drivers add on, such as a soda or a pack of cigarettes. Each individual driver may not intend harm and deceit by adding those purchases, but if every driver is doing that, then every single one of those purchases will add unnecessary expenses to the fleet’s fuel costs. The drivers may not see their small non-fuel purchases as a big deal, but they do mean thousands of dollars spent on items that have nothing to do with refilling the tank. Switching out the entire fleet for brand new vehicles is a massive and expensive overhaul, but when the time comes to purchase new vehicles, opting for more fuel-efficient models is a great way to start. With one or two fuel-efficient fleet vehicles, it’s easy to measure and compare the fuel economy between the old and the new vehicles. After that, those numbers can be extrapolated across a 100- or 1000-vehicle fleet to determine how much gas would be saved if every single vehicle in the fleet was a fuel-efficient model. This data can justify a gradual overhaul or switching out a few more vehicles. Utilizing a fleet-tracking system will provide a managed fleet with hard data on where vehicles are going and how they are getting there, highlighting various opportunities for improvement. For example, many GPS fleet tracking system show current traffic conditions, so drivers can opt for a different route, reducing travel time and gas usage. A tracking system can also show where any fleet vehicle is at any given time, so if someone needs to be dispatched to a specific location, the fleet manager will know which one is closest and can send that vehicle. 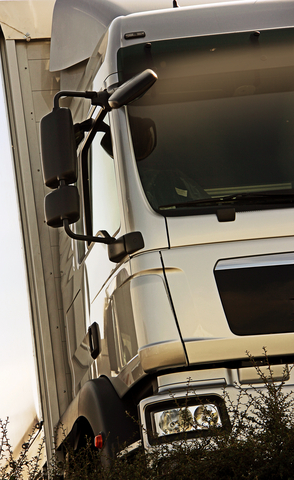 Fleet tracking isn’t just to make sure that drivers aren’t using company vehicles for personal purposes on the weekends. The traffic and location data can be used to ensure that gas and time isn’t wasted needlessly. Nitrogen can improve fuel economy by 3 percent by keeping tires at their proper tire pressure for longer periods of time. Although regular air can also be used to maintain proper tire pressure, nitrogen tires lose their pressure at a slower rate than those filled with regular air, thus providing the benefits of proper tire pressure (increased fuel economy, increased traction, increased tire life etc.) for much longer. Switching to nitrogen tire inflation does take an initial investment because fleets need to purchase a special machine for the inflation, but much like using a fleet vehicle with better gas mileage, the benefits exponentially increase with each vehicle that uses nitrogen. Overall, saving money on gas requires tracking and measuring current usage so that the fleet can find ways to cut costs. It’s not enough to say, “we need to use less.” To save money on gas, fleets need to know where is being wasted and improve fuel economy or efficiency in those areas.